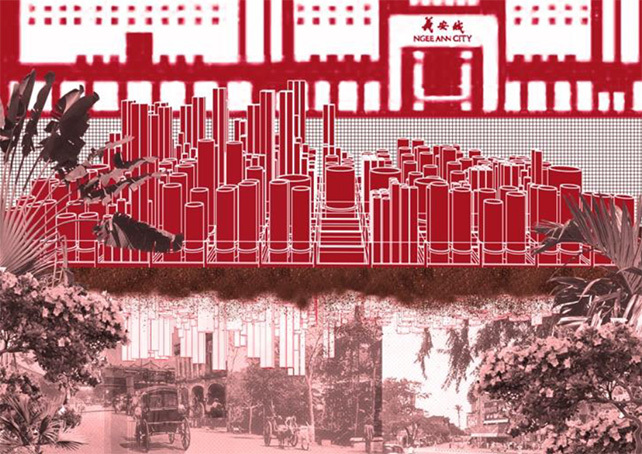 Singapore’s transformation is characterised by its continuous battle with nature. Terrains are flattened to create productive spaces, while precarious elements of nature are buried deep underneath. This is exemplified in Orchard, an area of natural depression susceptible to flooding since the 1840s. Along with its development into a shopping belt, the terrain is concealed under a forest of steel and concrete, while the natural stream that flowed within was reconstructed into a network of underground canals, drains, and a detention tank.